An individual holding a CMAS One Star instructor (or equivalent) who has gained the knowledge, skills, and experience required to teach groups of divers in the classroom, pool, and in open water, and to assist in the training of One Star Instructors. Upon completion of the Two Star Instructor Training Program they are qualified to direct and certify all CMAS diver levels. 1. Must hold a 1 Star Instructor Certificate. 2. Must be at least 19 years old. 3. Must have gained further practical instructional experience since obtaining 1 Star Instructor Certificate. 1. 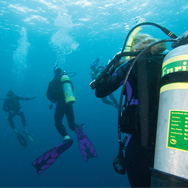 Be able to control and lead a group of students in varying diving conditions. 2. Be able to instruct a group of students in open water conditions. 3. Be able to teach the contents of the 1,2 and 3 Star Diver courses to a group of students in a surface/classroom situation and in open water. 4. Be able to communicate effectively with the students at all times. In the ‘continuous assessment’ system the above knowledge and skills will be assessed at various points during their course, and the certificate will only be awarded if the instructor is judged to have reached the required standard. If the ‘testing’ system is used then the final assessment should establish the instructor’s ability to carry out the following under sheltered water diving conditions. 1. Demonstrate the ability to control and lead a group of students in a dive to take place in open water. 2. 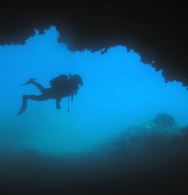 Demonstrate the ability to instruct a group of students in selected diving techniques in sheltered and open water. 3. Demonstrate familiarity with the contents of the 1,2 and 3 Star Diver courses and the ability to teach a group of students in a surface/classroom situation and in open water. The assessment will be made at a national level by a panel composed of at least one Three Star Instructor and additional Three and Two star instructors to meet required Instructor to candidate ratio.